THE ALL NEW BMW X3. ARRIVING NOVEMBER 2017. The most accomplished BMW X3 is coming soon. With class leading technology, stunning performance and luxury at the highest level, the all new BMW X3 is set to rewrite the rules of desire and versatility. Register your interest at bmw.com.au/brisbanebmw or bmw.com.au/westsidebmw to learn more. 14	TELL ALL INTERVIEWS Mental illness is not a dirty word. It’s time to ditch the stigma! 38	BRISBANE SOCIAL STARS Takeover the city’s fashion capital with QueensPlaza, The Myer Centre and Wintergarden. PUBLISHER’S INDEMNITY: Those who make advertising placement and/or supply copy material or editorial submissions to Style Magazines undertake to ensure that all such material does not infringe any copyright, trademark, defamation, libel, slander or title, breach of confidence, does not contain anything obscene or indecent, or does not infringe the Trade Practices Act or other laws, regulations or statutes. Further to the above mentioned, these persons agree to indemnify the publisher and/or its agents against any investigations, claims or judgements. Stock images used are from Stock Photo Secrets. If you could spend a day in The City where would we find you? MANAGEMENT GENERAL MANAGER Paul Johnston St Stephen’s Cathedral. PUBLISHER & FASHION EDITOR Tracy Sinclair (Johnston) Queen Street Mall. 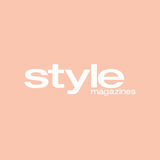 SPRING HAS ARRIVED and with it the September edition of Style. As we ricochet into the new season, this month we pay tribute to the best of Brisbane City. From cocktails and canapés to luxury brands and the hottest venues, we explore Brisbane’s most exciting elements. Our collaboration with three of Brisbane’s most iconic shopping precincts - QueensPlaza, The Myer Centre and Wintergarden - is more than just a partnership. It’s a celebration of everything that makes Brisbane a thriving hub. Visit stylemagazines.com.au to see BTS footage of how this month’s cover came to life. In exclusive interviews with some of Brisbane’s most esteemed influencers, we find out what their trend predictions are and how they are revamping their wardrobe for spring (page 38). From industrial elements in Tiffany & Co.’s Hardware collection to Aje’s new-season denim, there’s a lot to fall in love with as the latest designer collections arrive in-store. We take a closer look at the industry of luxury fashion and explore how Brisbane is thriving to become the ultimate destination for luxury retail (page 50). Delighted with the arrival of spring, we have filled the pages of this month’s edition with inspiration, new season trends and everything we love about our city. By showcasing our illustrious selection of fashion labels, the most indulgent beauty services, and the most decadent dining experiences, we hope you are inspired to discover more about our flourishing river city. JOURNALIST Emmy-Lou McKean Sonny’s House Of Blues. JOURNALIST Siobhan Taylor Brooklyn Standard. JOURNALIST Tamille Head Sixteen Antlers. DIGITAL CONTENT COORDINATOR Kiri Johnston Madame Wu. EDITORIAL ASSISTANT Tai Johnston Friday’s Riverside. PRODUCTION PRODUCTION MANAGER Keith Jones Bavarian Beer Cafe. DESIGNER Kristen Donaldson Riverbar & Kitchen. CONTENT MARKETING BUSINESS DEVELOPMENT MANAGER Sarah McAlpine Johnny Ringo’s. CONTENT MARKETING ACCOUNT MANAGER Kathryn Edmonds Eleven Rooftop Bar. JOURNALIST/ADVERTISING EXECUTIVE Courtney Frank Cha Cha Char. EDITORIAL ASSISTANT Annabelle Beirne Noosa Chocolate Factory. DIGITAL CONTENT ASSISTANT Tamika Magann Mr & Mrs Gs’. ADVERTISING EXECUTIVE Madeline Smith | 0432 829 230 Bar Pacino. DIGITAL ACCOUNT MANAGER Tamika McInneny Jamies Italian. SALES COORDINATOR Rhonda Baker Roma Street Parklands. PRIZE BREAKDOWN •	1 X $500 WINTERGARDEN SHOPPING VOUCHER •	1 X $500 QUEENSPLAZA SHOPPING VOUCHER •	1 X $500 THE MYER CENTRE SHOPPING VOUCHER TOTAL VALUE: $1500 One entry per person. Not transferable. Not redeemable for cash. Entrants agree to be contacted by Style and their specific competition partners. Entrants must be Brisbane residents unless otherwise stipulated. The promoter’s choice of winner is final and no correspondence will be entered into. Prize is valid subject to availability. TO ENTER COMPETITIONS: Visit stylemagazines.com.au, click on the WIN tab, choose the prize you want to win and enter your details. As we bid farewell to those crisp Winter days, it’s the perfect time to inject something new into your wardrobe. There’s nothing quite like the first hints of Spring to inspire a more colourful approach to dressing. BACK TO BASICS There’s nothing quite like a fresh pair of sneakers to add some street cred to your wardrobe. The Nike Classic Cortez Prem XLV is the ultimate in throwback style. With lightly padded collar, luxe leather accents and bold metallic branding, I’ll be wearing mine on repeat this season. THE T H G I F D O O G Mental illness is not a dirty word. It’s time to ditch the stigma, writes Tamille Head. WE CAN SAVE THE LIVES OF INDIVIDUALS IF WE CHANGE THE WAY SOCIETY UNDERSTANDS & INTERPRETS MENTAL ILLNESS. expenses, whilst also allowing for unexpected costs that may arise from time to time. Setting up a budget plan could be as simple as a weekly transfer to a high interest savings account, right up to tweaking their existing credit facilities, offset accounts or even creating new consolidation credit facilities. Budgeting is not designed to completely change your lifestyle, it is intended to allow you the peace of mind that you are financially on track to achieve your goals. How does Commbank differ when it comes to budgeting assistance? What sets CommBank apart is our attention to the client’s current situation, but also to their future needs. The technology we have on offer at Commbank is second to none and gives each of our clients the confidence that all of their financial needs are being met with ease and that their budgeting plan is accurate. Budgeting for real life We’ve all got dreams, but without a plan to bring them to life they tend to stay just that – dreams. If you’d like to turn your dreams into plans, and those plans into reality, we can help you get there. Join us at CommBank Flagship Branch to learn more about setting goals, laying out a savings plan, and creating a budget that works for you. No spreadsheets, and no need to give up your daily coffee: just a realistic way to set goals and achieve them. Commonwealth Bank of Australia ABN 48 123 123 124 Australian credit licence 234945. This spring, explore handcrafted dining packages in these exclusive pop-up gardens. Discover why this iconic Brisbane venue is the perfect place to hold your next function. HOMEGROWN LUXURY A luxury jewellery brand with a contemporary take on timeless elegance, Jan Logan combines unusual coloured stones and precious metals to create unique expressions of modern simplicity. An Australian sense of ease and natural beauty permeates the fine jewellery brand, making it as wearable in everyday life as it is on the red carpet. Vitality, versatility and creativity define each collection from the fine jewellery atelier that celebrates contemporary women with singular craftsmanship and style. THE PRICE IS RIGHT Japanese shopping revolution Daiso, has set up shop in Brisbane City and brings with it an extensive range of over 15,000 different lifestyle items and novelty gift products. Almost every item is priced at an unbelievably low $2.80! With everyday products ranging from clothing, food, cosmetics and homewares to the weird and wonderful of Japanese culture, you’re bound to find everything you need and everything you didn’t know you needed. From homewares, personal care and confectionary to craftware, phone chargers and so much more, Daiso is a one-stop destination. Shopping at Post Office Square is easy We are perfectly located in the heart of the CBD on Queen Street, just a few minutes’ walk from the Queen Street Mall, Creek Street, Edward Street and Adelaide Street. There is a wide range of dining options where you can eat in or takeaway and enjoy in the park above. We’re not just all about food. We have a range of services including banking, health and beauty, dry cleaning, newsagency, shoe repairs and a pharmacy for your convenience. We are open Monday to Friday 8:30am to 5:30pm. Offers valid until 30th September unless stated otherwise. FLAIR FOR THE CREATIVE Meet the Brisbane stylist and photographer behind some of Australia’s most recognisable creative projects, including Halcyon House, writes Emmy-Lou McKean. FROM HUMBLE BEGINNINGS, Kara Hynes, better known as her former Instagram handle Lulu Lucky, always had a pencil and paper in hand. Ever since she could remember, Kara has been styling. From sketching clothing with the dream of becoming a fashion designer to going over concepts and colour schemes with her mum to decorate her room when she was younger, Kara says her concepts were always wild, even back then. Kara’s creative career path began after she finished school and studied horticulture to become a florist before she moved into event styling. “Brisbane wasn’t quite so progressive back then and I remember my ideas being slightly frowned upon for being too left of field for most people,” Kara says. “I have never studied styling as I truly believe it’s something you either have a natural eye for or not.” Over time, Kara has gained a reputation in the industry for creating an aesthetic that is uniquely her own, which she says has evolved, changed and matured over time. Using Instagram as a tool to float ideas and creative concepts, Kara quickly gained a following that now exceeds 23k. “I’ve met so many other talented creatives which has lead to so many doors opening for me,” she says. After striking up a friendship with interior designer, Anna Spiro, who she describes as a huge support in the early days, she was introduced to the clever people behind Halcyon House in Cabarita Beach. 5 Years warrantY & 3 Years complimentarY servicing Across the mAserAti rAnge*. InvestIng In a maseratI has always been a wIse choIce And now its even wiser. Investing in a Maserati has always been a wise choice going forward, and now it’s even wiser. For a limited time, you’ll receive a 5 year warranty and 3 years servicing when you purchase an eligible Maserati from across the range*. Stock is limited, so contact Maserati Brisbane today and drive away in breathtaking power and captivating style. tHe range: ghibli | grAnturismo | grAncAbrio | QuAttroporte | levAnte *OFFER AVAILABLE ON SELECTED MY17 VEHICLES ORDERED AND DELIVERED BEFORE 30 SEPTEMBER 2017 OR WHILE STOCKS LAST. EXCLUDES LIMITED EDITION GHIBLI 350 SPORT AND LIMITED EDITION GRANTURISMO AND GRANCABRIO. 5 YEAR MANUFACTURER’S WARRANTY IS TRANSFERABLE. COMPLIMENTARY SERVICING IS FOR 3 YEARS. INCLUDES ROUTINE SERVICE MAINTENANCE REQUIREMENTS CARRIED OUT IN ACCORDANCE WITH THE MANUFACTURER’S HANDBOOK. EXCLUDES WEAR AND TEAR ITEMS AND ADDITIONAL WORK OR COMPONENTS REQUIRED. NOT AVAILABLE TO FLEET, GOVERNMENT OR RENTAL BUYERS, OR WITH OTHER OFFERS. FULL TERMS AND CONDITIONS AT WWW.MASERATI.COM.AU AND ON REQUEST. Saturday 18 November Brisbane Hilton Hotel The Harcourts Foundation Butterfly Ball supports Royal Brisbane and Womenâ&#x20AC;&#x2122;s Hospitalâ&#x20AC;&#x2122;s smallest, yet most precious patients - babies. Money raised will help purchase new equipment and technology for the Neonatal Unit as well as fund life-changing medical research into conditions such as stillbirth, prematurity and birth-related injury. GREAT MEN CONSULTANCY Founder Grace Stewart wants to raise awareness of depression and encourage men to get help. The burden of being a dad as well as traditional pressures may affect men’s mental health. As such, Father’s Day may not be a day of connection for some fathers who may need to open up a dialogue with a trained professional. “We work with men everyday who had reached a level of despair. Counselling has had a positive impact and given them hope and great recovery outcomes,” Ms Stewart stated. GETTING RID OF that winter bulge and shaping up in time for summer doesn’t have to be hard. Some of Brisbane’s best personal trainers share their tips on how to get on track with your fitness regime this season. Maybe running 5kms isn’t your thing; give boxing or a HIIT class a go. Exercise is something people have to commit to themselves, don’t make excuses, make it a part of your new lifestlye. Be clear with what results and goals you want to achieve, then plan and program your training to help you progress towards what you want to achieve. know breakfast is the most important meal of the day and over the past 10 years, the Schools’ Breakfast Program has served more than three million breakfasts to students across Queensland,” says YMCA Brisbane Marketing and Fundraising Manager Jane Barr-Thomson. The YMCA Brisbane is one of Brisbane’s oldest organisations offering the community a range of services and youth programs to more than 10,000 members every week. discover the coast by kayak, picnic on a private tropical island or cycle the charming coastal road to explore remote beaches. Each bungalow is equipped with snorkelling equipment so guests can explore the secret coral gardens swarming with tropical fish, and dive to ship wrecks buried deep off the coast. Unwind from all that exploring at The Aore Day Spa, a tranquil place to relax and rejuvenate in traditional Melanesian style. The city is alive this month with Brisbane Festival bringing a stellar lineup of music, theatre and comedy. Tamille Head reveals the shows not to be missed. YOUNG HEARTS RUN FREE: THE 20TH ANNIVERSARY OF ROMEO + JULIET SOUNDTRACK (VOL 1) LIVE – SAT 9 SEP The Cardigans. Radiohead. Garbage. It’s been 20 years since Baz Luhrmann turned the greatest love story ever told into the greatest soundtrack ever sold. To celebrate, The Tivoli will play host to a masquerade-ball rock show in which the full soundtrack will be brought to life by an incredible lineup of performers. STARMAN – TUE 12 & WED 13 SEP Inspired by the music of rock legend David Bowie, Starman is a worldwide smash-hit show that promises to be a dazzling combination of cabaret and seventies glam rock. From New York to Berlin, explore Bowie’s life and rediscover his classic songs as supremely talented entertainer Sven Ratzke inhabits Bowie’s multiple personas. This show is a Brisbane Festival must-see. DRIFTWOOD – TUE 19-SUN 24 SEP Brisbane’s own world-renowned Casus Circus present their dazzling new work to the local stage. In this standout show, Casus Circus bring a blank canvas to life and revel in our innate need for human contact. In a journey of explosive encounters and humorous discoveries, this show reminds us that to feel is to be human. JAZZY ON SUNDAY – SUN 10 SEP There’s no better way to recharge for the busy week ahead than enjoying an intimate jazz session in the heart of Brisbane. Featuring a yet-to-bereleased collection of the cities finest jazz singers and musicians, this event is one for all those cool cats out there. TERROR – TUE 19-SAT 23 SEP A hijacked plane is heading towards a packed football stadium. Ignoring orders, a fighter pilot shoots the plane down, killing the 164 people on board, saving the stadium of 70,000. Put on trial and charged with murder, the pilots’ fate is in the hands of the audience. How will you vote? ALI BARTER – SAT 23 SEP Tipped to be one of the biggest Aussie artists this year, Barter will bring her much-anticipated new album ‘A Suitable Girl’ to the Magic Mirrors Spiegeltent stage with her part tongue-in-cheek, part feminist-rallying-cry lyrics and unique, bold guitar chords. SEPTEMBER BIGSOUND FESTIVAL TUE 5 – FRI 8 Expand your Spotify playlist/music taste or catch an old favourite, as BIGSOUND takes over Fortitude Valley again this month. Get yourself a wristband and gain access to more than 130 artists, at 15 venues over 4 big nights. BRISBANE FESTIVAL SAT 9 – SAT 30 Each September this festival explodes across the city with an exciting lineup of music, dance, theatre, opera and public events. Check out the program early to avoid disappointment. boutiques in Queensland. More than just being the state’s premier shopping destination, the CBD is also a foodie’s paradise. With everything from casual burger joints and riverside bistros, to laneway bars and hidden cafes, we really are spoilt for choice in our City. A new world city with an enviable sub-tropical climate, lively dining scene, plenty of green spaces, world-class art galleries and premier events, there is more to Brisbane than meets the eye. to treat myself to something new, I can’t go past my favourite Australian labels from Myer. Where in the city do you go to recharge? Serkan: I’m a fan of fresh juices and acai bowls and I love being able to grab these when I’m on-the-go in the city. What spring trends are you most looking forward to rocking once the weather warms up? Michelle: Count me in for some statement earrings this spring! Serkan: I think I’m going to step out of my comfort zone this season and try something like the floral shirt I wore in this shoot. Why do you think The Myer Centre is one of Brisbane’s most iconic shopping destinations? Michelle: Some of the earliest memories from my childhood are from when my dad used to take my brother and I to Tops - the mini theme park that was on the top level of The Myer Centre in the 90’s. I had so much fun visiting the centre back then and I still do, although now it’s not the Dragon-coaster that attracts me but the retail therapy! DISCOVER NEW SEASON STYLE Aicha Roberston and Benjamin Day divulge their latest luxury collaboration with QueensPlaza and the new season trends. What excites you most about collaborating with QueensPlaza? Aicha: It’s one of Brisbane’s most iconic shopping centres and it’s exciting to showcase my favourite pieces and places to visit! With spring just around the corner, what will be your favourite trends of the season? Ben: Bold prints and patterns! From shorts to suits, I’m excited to mix colours and patterns and explore a more vibrant colour palette than what men have been wearing in the past. When you want to treat yourself, where do you go for new season finds? Ben: This season you’ll find me in Salvatore Ferragamo’s shoe section, investing in a new pair of shoes for my wedding next year in Greece. Aicha: I normally visit David Jones or Witchery, but if I want something a little quirkier then I will hit up Gorman! end fashion brands as well as staple brands. QueensPlaza exudes a stay-a-while atmosphere with their diverse range of activated zones and top notch food offerings. Aicha: It is the perfect shopping destination in the city because you can view the best Australian designers, as well as some of the most prestigious international labels. From Carla Zampatti to Chanel - QueensPlaza has it all! In your opinion, what makes Wintergarden one of Brisbane’s most iconic shopping and lifestyle destinations? Emily: Showcasing both international and Australian fashion houses, Wintergarden has defined both Queen St Mall and Brisbane as a must-visit shopping destination for locals and tourists alike. EDITION This month we welcome the arrival of spring with a collaboration of our city’s most iconic shopping destinations. It’s time to celebrate the brightest and boldest spring fashion our city has to offer. UPBEAT SEASON This season, The Myer Centre is blending spring fashion with contemporary city style for a look that is always chic. The new season is calling for a wardrobe refresh with injections of colour. ENDLESS SUMMER A floral print or a fresh new stripe may be all your wardrobe needs for a spring injection. Wintergarden is the ultimate destination for a fashion-forward look. Step into Spring wearing a pop of colour & headturning prints! STUNNING SILHOUETTES Look & feel your very best in dresses made to flatter your shape! PINK IS THE WORD Fuchsia, blush or millennial – however you like it, this month Tamille Head is urging you to rethink pink. No longer reserved for girlie-girls and baby showers, the shade has gone rogue. LET US DESIGN AND CREATE A BESPOKE JEWELLERY PIECE LIKE NO OTHER. BEYOND THE BLACK DOORS For everything playful and sensual this season, the Honey Birdette Paris collection is the perfect balance of practical and indulgent. From lace to ribbons, discover your flirty side. SEASON STAPLES Embrace spring and let your shoulders do the talking. This season at Sussan it’s all about one shoulder looks and block colours. Don’t be afraid to add a pop of colour with accessories. ELEVATE YOUR STYLE When it comes to footwear, it’s all about strong silhouettes and casual styles at Jo Mercer. Ditch the boots and change your look up with strappy sandals and statement block heels. As if we needed an excuse to buy more shoes. PRIMP & POLISH Hydrate your skin with a luxurious, exfoliating face mask. Lush is the number one destination for handmade, organic cosmetics and a cult favourite! HIT REFRESH Add a brightening facial oil to your skincare regimen to really get you glowing. Rich in vitamin C, the Korres Wild Rose advanced brightening & nourishing face oil will soften lines and wrinkles, boost radiance and promote even skin tone. EVERYDAY I STYLE WITH IMPACT. I LIVE BY THE MANTRA THAT STYLE IS A SIGNATURE THAT CANNOT BE FORGED. DRESS CODE Break out the suit jacket, soiree season is upon us. This spring, opt for casual tones, stylish windowpane checks and tailoring. Politix brings sharp dressing and design detail to the forefront, ensuring you always execute your look with charm. GROUND PATROL It’s the little things that can make or break your look. Step things up with the R.M.Williams Tanami Chukka boot ($445) and their collection of suede leather. Classic styles and colours transcend seasons, but modern detailing keeps the look fresh. STREET CRED From summer festivals to sartorially smart, General Pants will deck you out from head-to-toe in new season gear. Graphic t-shirts are a festival favourite for day, while jeans and vibrant print shirts create a fresh night time look. OFF TO THE TRACK As we shift into Spring, we welcome the arrival of the racing season. Flash Boutique gives us a glimpse of the upcoming racewear trends for the Spring Racing Carnival. Embrace racing etiquette and opt for a knee-length hemline. Take cues from your personal style with Madonna Rigney’s tips on selecting the perfect pair of spectacles. A LIST OF 7 THINGS I’VE WORN And how they have shaped me. By Siobhan Taylor. For a few years I was hooked on ear piercings. The more embellishments on my ears, the better. I’ve since dialed down the number of piercings, and instead opt for bigger and bolder tchotchkes. Maximalism is key. Since my adolescence, sneakers have always managed to make me feel invincible. Not one for strappy sandals or towering heels, my sneakers always manage to keep up with me even when I am moving a million miles an hour. I’ve chased that feeling of invincibility ever since. Taking style cues from the likes of James Dean and Steve McQueen, my personal style has always been synonymous with denim (even before I knew what “style” was). My first stint at a music festival included doc martins, denim cut-offs, a seethrough blouse, and sitting on a strangers shoulders. 5. For me, graphic t-shirts mean I can speak my mind without opening my mouth. Feminist slogans have been my go-to since late-high school, and when paired with a mini-skirt and my Nikes, I get a glimmer of that invincibility once again. While I typically opt for contact lenses these days, style icons such as Jenna Lyons, Elton John and Zoe Saldana often have me reaching for my specs in the morning. My brushed gold watch is the first item I ever wore that made me feel like a grown-up. A gift from an ex-boyfriend, this simple accessory is a daily reminder of how quickly life changes. I cannot over exaggerate how many striped t-shirts I own. Flattering and practical, striped shirts have been my modus operandi since I first started making decisions about the way I dress. Nothing is more comforting than pulling on a striped cotton-tee over a pair of jeans and sneakers. IN BLOOM From tropical florals to emeraldhued prints, botanicals are having a moment. HARDLY A GROUNDBREAKING Spring trend, but expect to see an edgier, darker bouquet this season. With everything from slip dresses and cigarette pants to ankle boots and eyewear, we’ve dug up this season’s best buys to bring the garden into your wardrobe. WHATEVER YOUR PERSONAL style may be, engaging professional help when designing your wedding will give you the expertise and experience you need to perfectly achieve your vision (and ensure it meets with your budget!). From choosing the colour palette or theme to designing centrepieces and sourcing furniture, a stylist can help navigate the often-tricky waters of planning a wedding. You can choose to outsource every detail or simply engage services in the areas that you need. Stylists can take care of your ceremony, reception and recovery breakfast the day after to ensure your chosen scheme continues throughout. Even DIY-loving couples can enlist support in creating and sourcing all the elements they need to produce their own dream wedding. A professional stylist can help ensure everything you dreamed is ready and waiting for you when you begin your walk down the aisle. An extra set of hands can take the stress out of planning your special day, and allow you to focus on the main event – saying ‘I do’. THIS IS A question I am often asked. Yes, I like specialty coffee - coffee that is made from quality beans sourced ethically, freshly roasted, and prepared by a professional barista. Does that make me a coffee snob? I think not. In the industry, coffee is considered “specialty” if it has been assessed using the Specialty Coffee Association (SCA) cupping protocols and has scored 80 points or above. The SCA takes into consideration the entire supply chain – farmer, buyer, roaster, barista and customer. When discussed in relation to a café or roasting house, it can be a little more ambiguous. Today, with everyone claiming their coffee is of the highest quality, how do you really know? Transparency is a good starting point. Do you know what you are actually drinking in your morning brew? What type of bean, from where, processed how, roasted when? Taking the time to learn about the coffee you are purchasing is the first step to ensuring you are investing in an industry that puts quality ahead of all else. And I don’t think that makes me a coffee snob. ONE THEME THAT constantly comes up in couples coaching are unspoken expectations. These have the potential of weakening even the strongest of relationships. Unspoken expectations are the result of assumptions and offhand remarks. He might say, “Yeah, I’d like kids one day” but she hears “Ok, 3 kids in 5 years”. Finance is another potential minefield, where she might say “We live and love together, so therefore we pool our money” and he might think “No way! You have your money, I have my money.” It is ideal to talk about what each of you expects from the relationship including responsibilities, commitments, time together, and the future. Talking means you discover if the expectations you both have are realistic, clear, and are meeting the needs of the relationship. Misunderstood expectations wreak havoc on any partnership. Engaging a professional can help uncover and negotiate those expectations to restore openness and understanding and get the relationship back on track. IN OUR TIME poor world, it is imperative you inject energy into your conference experience to ensure better outcomes on all levels. Don’t underestimate the effect music has on the mood. Consider a live DJ or string quartet to start each session. It is also a good practice to ensure speakers are prepared prior to the event to ensure each of them is on point with the message. Similarly, invest in a great MC who will research your objectives and ensure your speakers are kept on time and message. Push the venue for creative snacks throughout the function, such as trail mix or green smoothie stations, to keep energy levels high. It is crucial you devise a way for delegates to integrate with exhibitors and sponsors. It is important you be creative, as the average person is fairly reserved and may need some encouragement. And finally, give voice to your audience. People do not come to a conference to sit and listen passively. Provide them with a chance to share their expertise and options. Don’t waste this precious opportunity to engage and excite. THERE IS NO better feeling than leaving the hairdresser with a fresh new do. The one thing I get asked often is how my clients can achieve a salon blow dry at home. There are a few things you’ll need before you start, but firstly, applying a styling product from mid-lengths to ends will ensure you achieve a smooth, long-lasting finish. It’s important to use a heat-protection product to avoid leaving your strands looking dry and damaged. Tools are also just as important as technique. I recommend using a good hairdryer with a nozzle and always styling with a round medium-barrel brush. I recommend allowing your hair to dry slightly to reduce over-exposure to heat and save styling time. Blowdry the hair as usual until it’s about 80 per cent dry, and then section off with clips and continue drying using the barrel brush. After you’ve finished styling, allow your hair to cool down as this sets the hair. Once cooled, slowly brush out and then use your finger to part your hair where you want. Finish with a flexible hairspray to set everything in place. HEALTHY AND HAPPY is how we want to age, and your attitude, lifestyle, and environment will significantly contribute to how well and long you live. An optimistic attitude, a meaningful focus, and continuing to learn will enable one to be blissfully immersed in life. A safe, quiet environment, connected to nature with easy access to services is the foundation for wellness and wellbeing. This includes the home, garden, and community. Given the amount of time you once spent at work, your retirement needs to be challenging and continues to play to your strengths and passions. It is vital to socialise with your partner, family, and friends who have a similar good sense of humour, share ups and downs, and stay positive. Get moving, have healthy eating habits, moderate alcohol, have a quality eight hours sleep, and also stress-busting strategies. These things contribute to a satisfying and positive ageing and retirement. SPRING IS HERE and it is time to put your best fashion foot forward. So get ready to start planning those spring racing outfits. The years’ trends come in to play and the Spring Carnival is the perfect time to present the bolder side of personal style. With men’s fashion in the limelight more than ever before, this should hopefully breed new confidence into taking stylish risks. Experiment with colours, prints and textures. The best way to execute this is by buying a suit that has a lustre and it is not your everyday work suit, something with a great texture is ideal to create interest. Look to wear a hat as it can add a bit of flair to any outfit. Be bold in the colours of spring, such as Primrose Yellow (Grey based yellow), Kale, Lapis Blue and Fuchsia. It’s also great to turn to greys instead of blue as the predominant colour of your suit. Then finish off your outfit with a stylish shoe in any colour but black. THE OVERALL PROPERTY market in Brisbane’s inner city continues to perform extremely well, in particular the housing and owner occupier apartment markets. But sometimes the market can prove to be tricky to navigate as the investor apartment market, which as widely reported, is currently experiencing an oversupply. There are still buyers who are actively looking to purchase these apartments, however they are extremely cautious about overpaying. When looking at what the market is doing in the residential inner suburbs of Brisbane, it is clear that there’s a shortage of residential properties for sale compared to previous years. This is pushing up the prices of homes in highly sought after school catchment zones and properties that are close to the CBD as there is still the same volume of buyers wanting to purchase a home in those suburbs. When choosing an agent, it’s important to look for someone with experience and exceptional local knowledge to achieve the best result for you. There’s been a shift in event styling trends, as Tamille Head discovers. IF YOU’RE PLANNING an event but can’t stand the thought of it being another boho bonanza, we have some good news. There’s a new wave of styling trends just waiting to transform your next ‘do. MONOCHROME Black and white, but not as you know it. In a move to get back to basics, we’re seeing a return to a monochromatic colour palette. Paired back with hints of timber and natural accents, it’s a more simplistic, contemporary approach to styling that is anything but boring. TROPICAL LUXE In a welcome change from the boho trend that has overtaken the event scene, expect to see a surge of tropical styling in months to come. Natural bases of bamboo, white or timber adorned with tropical inspired décor. Think drinks served from coconuts instead of Mason jars, bright throw cushions, green plants and tables lined with pineapples. The kind of look that makes you want to pack your bags and jet off to a tropical paradise. WIRE FURNITURE It seems as though the world’s collective obsession with Brentwood chairs may be coming to an end. Wire furniture and décor is tipped to become a huge trend in event styling, as hosts choose to embrace a more modern, sleek look over the rustic style favoured in the past. Industrial meets glamorous with the introduction of tall, wire bar stools and coffee tables in simple, understated tones. FORMAL Somewhere between cocktail and black tie, a formal dress code requires a short or long formal dress or separates for the ladies. For the men; a dark suit, white shirt and conservative tie is appropriate. Tuxedo’s are optional as formal is often another way to describe Black Tie. Got the save the date? Now comes the fun part, writes Tamille Head. THE SOIREE SEASON is upon us and that means one thing: events. As the event invitations roll in, it’s time to start getting serious about what you’ll wear, because let’s face it, no two events will have the same dress code. The dress codes for events can usually be met with fear, as sometimes it can be tricky territory finding the perfect balance between smart and casual or deciding if you should wear heels to a garden wedding. It’s a conflicting minefield that can leave even the most seasoned shopper at a loss. Whatever your style, there’s a way to adhere to the dress code. To make the upcoming season a cinch, we’ve decoded the most common dress codes so you can start shopping up a storm without the stress. BLACK TIE Think red carpet! This is your chance to really bring the glam. Ladies, don a full-length evening gown and your best jewellery. Black Tie is usually reserved for evening weddings and balls, so it’s a good excuse to dress up. Men are expected to wear a tuxedo, bow tie and dress shoes. COCKTAIL A cocktail dress code is most applicable if you’re attending a semi-formal wedding or event. Cocktail attire isn’t overtly formal and still allows you to have a little fun. A step above smart casual, cocktail wear is usually shorter in length. Men are generally required to wear a suit, preferably a dark one in navy or charcoal, accompanied by a white or plain coloured shirt. And of course, don’t forget a tie. SMART CASUAL Perhaps the most confusing of all dress codes. Smart casual can leave many scratching their heads as it can sometimes leave the dress code open to interpretation. Many fear arriving to the event overdressed, or (god forbid) underdressed. Best defined as neat, conventional, yet relatively informal, Smart Casual sits somewhere between dressy and casual. Play catch-up with me every month, as I give you a taste of what you’ve missed and what’s to come in Brisbane’s Food+Drink scene. BLISS OUT For a post-workout snack (or even just a treat that won’t leave you feeling guilty) Coco Bliss has a menu full of nutritious and raw eats and treats. From Acai bowls to smashed avo, they have all your favourites. FRESH FEAST Hanaichi Japanese Fine Foods offers a great alternative to the everyday fast-food venue with a number of traditional dishes like karaage chicken as well as all of your katsu and udon favourites. LUCK OF THE IRISH For all those ex-pats missing home or those who just love a pint of Guinness, Mick O’Malleys combines the lively atmosphere of a Dublin pub with traditonal Irish eats like bangers and mash. MALAYSIAN DELIGHT From the fiery sambal of the Nasi Lemak to the buttery Roti Canai, all with a cup of Teh Tarik – or any one of 60 drinks on the menu, the food at PappaRich reflects the balance and harmony of the different cultures in Malaysia. A FREE LIMITED EDITION STRAWBERRIES & CREAM BROWNIE T’S AND C’S APPLY. Legends Speakeasy Bar is a password-protected destination shrouded in mystery and intrigue. Their website hosts the coordinates of their location, and the password required for entry can be found on their Instagram and Facebook each week when it changes. Once you find your way to this decadent bar you will be rewarded with some of Brisbane’s most unique cocktails, made with ingredients such as activated charcoal. Sample the Ignited Passion (pictured above) if you’re game - it goes excellently with a plate of grilled princi chorizo. Working in the city means there are plenty of fabulous places to grab a quick drink or hit up a fancy restaurant after work. From rooftop bars with waterfront views to underground speakeasy-style haunts, the options are endless. Dressing for work and play can be a difficult task. For ladies, this season is all about the tailored short suit - think Olivia Palermo. Add a pair of heels and a spritz of perfume come 5pm and you’ll give your office outfit a new lease on life. Gentlemen, invest in a good quality dress shoe that pair well with a smart sports jacket. Remove the tie for a laidback look that is Friday drinks ready. NECTA ESPRESSO Necta Espresso serves deliciously rich pastries, nourishing salads, and small bites, alongside perfectly brewed Campos coffee. Whether you’re after your morning coffee or a meeting over lunch, Necta is a local favourite. SET AMONGST THE city’s most prestigious business hub is the Riverside Food Court. You will find culinary delights from a number of international cuisines located right on the doorstep of the vibrant Riverside Centre plaza. Get ready to discover simplistic dining at its finest. JOIN US AS WE LAUNCH SOMETHING SPECIAL IN BRISBANE Grinders Coffee has transformed this iconic Brisbane site to a 34-seat ‘coffee experience’ cafe and dedicated coffee training facility. The new Woolloongabba venue offers guests the opportunity to sample of our new range of specialty coffees, with a dedicated brew bar and a warm and welcoming coffee and café experience from start to finish. Boasting a state-of-the-art training facility, Queenslanders have a new coffee education destination to develop their barista skills from the Essentials to Advanced, lead by a passionate and knowledgeable team. SUNDAY Sessions SIOBHAN TAYLOR SELECTS SOME OF OUR FAVOURITE BEER GARDENS AND COURTYARD BARS FOR THE ULTIMATE SPRINGTIME SUNDAY SESSION. BRISBANE BREWING CO. | WEST END For locally brewed pilsners and open-air relaxing, Brisbane Brewing Co. is the laneway beer garden we’ve been dreaming of. This boutique brewery and bar offers a unique drinking experience, where you can actually relax amongst the brewing equipment thanks to their open-plan brewery design. FITZ + POTTS | NUNDAH Feeling like the holiday home of an eccentric character, this second-floor bar is situated on a gorgeously sunny wrap-around-deck and best enjoyed on warm, idle weekend afternoons. Is there a better combo than craft beer and charcuterie? We don’t think so. CANVAS | WOOLLOONGABBA Tucked out back and delightfully decked out, the Canvas courtyard is one of Brisbane’s best spots to enjoy a brewski on a barmy evening. In addition to one of the best cocktail menus we’ve ever seen, they also have a generous menu of share plates and tapas. BLESSED WITH CLEAR DAYS AND PERMA-SUNNY WEATHER, BRISBANE HAS NO SHORTAGE OF BEER GARDENS. SUMMER HOUSE RESTAURANT BAR & CAFÉ | KANGAROO POINT With ‘summer’ in the name, you can be guaranteed that Summer House Restaurant Bar & Café is the perfect destination for outdoor dining as the weather warms up. Enjoy boutique wines, signature cocktails, delicious tapas, and live music 5-nights a week. Brisbane’s very own paradise! THE WICKHAM | FORTITUDE VALLEY With fairy lights and hanging plants, this iconic Brisbane venue is almost unrecognisable. Built from reclaimed shipping containers and industrial metals, this courtyard has been gilded with growing gardens and gritty street art. WINNING APPLIANCES GUESTS ENJOYED THE OFFICIAL LAUNCH OF THE NEW FLAGSHIP SHOWROOM OVER A COCKTAIL SOIREE WHILE DISCOVERING THE BEST APPLIANCE SHOPPING EXPERIENCE IN THE WORLD. QUEENSLAND THEATRE GUESTS JOINED IN EXCITEMENT CELEBRATING THE 2018 SEASON WITH EIGHT EXTRAORDINARY SHOWS, SIX NEW AUSTRALIAN STORIES AND FOUR WORLD PREMIERES. Make healthy your new habit. Whatever your reason, thereâ&#x20AC;&#x2122;s no better time to start living a healthy lifestyle. Our team will arm you with the tools to make the positive changes you need to achieve and maintain a healthy weight - for life. A healthier, happier you starts with just one call 1800 567 348. THE MODERN GENTRY BRISBANE BASED LEADERS OF STYLE JOINED FORCES AND LAUNCHED THE MODERN GENTRY. HOSTED AT JIMMY ROD’S BARBERSHOP, THE EVENING PROVIDED A PLATFORM FOR MODERN GENTS TO TALK SUITS, BEARDS, SHOES, BEER AND MORE. HUGO BOSS CELEBRATING THE LAUNCH OF THE NEW EDWARD STREET STORE, GUESTS ENJOYED FRESH SEASONAL CANAPES AND POMMERY WHILE THEY VIEWED THE NEW HUGO BOSS SPRING SUMMER COLLECTION. BEAUTY EDIT: With the world’s biggest Mecca Maxima store opening in Wintergarden on the 15th of September and the arrival of the new in-house MECCA MAX line, we couldn’t help by having a play with these exciting new editions along with some of our all-time favourites. IN GOOD HANDS Escape the daily grind by relaxing and unwinding with the team at Massage Philosophy. Dedicated to helping you achieve a better life, day by day, the qualified team of professionals at Massage Philosophy utilise traditional practices as well as modern developments and offer a range of services, including Remedial Massage, Reflexology, Aromatherapy Massage, Acupuncture, Hot Stone Massage and Cupping. Situated in the heart of Queen Street Mall with the convenience of walk-in appointments, Massage Philosophy is an inner-city sanctuary where you can unwind and relax. Whether it’s following a long day of shopping or a quick lunchtime escape for a little TLC, their tranquil salon is the indulgent and soothing respite that you deserve. INDULGE YOURSELF From medi skin facials and microneedling to eyebrow shaping and tinting, a visit to Pure Indulgence in the Wintergarden will have you relaxing and unwinding in comfort. Each facial is tailored to suit the skin needs of each client, which makes every treatment unique and effective. Every spa or medi skin facial includes a skin analysis, which enables the therapists to meet the changing needs of your skin on each visit. Client care is at the forefront of the ethos at Pure Indulgence. This is clear in the therapists’ attention to detail when creating an indulgent experience to suit their clients needs. After stepping into the softly candlelit space, all of your stress and worries will instantly melt away under the care of the Pure Indulgence beauty therapists. THE VIP TREATMENT You’ve already begun to fill your wardrobe with spring trends, now it’s time to think about updating your manicure too. Put away those rich wine hues and dark navy polishes, this season it’s all about peachy pinks, pops of metallics, black accents and block colours in everything from vibrant tangerine to forest green. Contrasting your bold nail colour against softer seasonal fashion will really make your manicure pop. Invest in a Shellac polish next time you’re in the salon to extend the length of your colour and reduce chipping. Shellac has been proven to strengthen nails and is much less damaging than acrylics, so you can say goodbye to peeling nail beds. The team at VIP Nails are fully trained in applying Shellac nails, and make it their duty to keep up with emerging fashion and beauty trends. GET RESULTS Dedicated to making you look and feel your best, the team at Results Laser Clinic are proud to use state of the art technology for many different procedures including hair removal, correcting of sun damage, acne scarring, and pigmentation. As a highly accredited and respected laser clinic with results that speak for themselves, the convenient Wintergarden location makes getting your beauty treatments as simple as possible. As proud industry leaders, Results Laser Clinic are committed to providing the safest and most effective services that their clients can have confidence in. From anti wrinkle injections and oxygen facial therapy to cellulite reduction and laser hair removal, Results Laser Clinic continue to strive to be Australia’s most trusted skin and laser clinic. options have increased greatly in recent years, now expanding to include eyeliner tattooing. This technique enhances the eyes, making them more intense, and can be applied in a range of thicknesses, winged eyeliner included. Work with your technician to create the perfect style to suit your eye shape. KERASILK KERATIN SMOOTHING TREATMENT This in-salon smoothing treatment has been developed with new innovative Kerashape technology, combined with precious silk and keratin proteins, to give long-lasting, transforming results for up to five months. The treatments contain high concentrations of keratin that penetrate throughout the hair structure, and then are sealed within the cortex to repair damage. The procedure can take up to three hours to complete, but promises to tame frizzy, unruly hair by softening and smoothing the hair structure, while also enhancing body and movement. LIVE IN LUXURY Since it’s founding, Louis Vuitton has created objects that can be passed down through generations. The new Les Parfums Louis Vuitton collection encompasses this long-standing ethos as well as smelling like luxury. BEAUTIFUL BROWS Get your eyebrows looking their most beautiful at Get Threaded and experience the ancient hair removal technique. Threading is a 100% natural hair removal method and uses no waxes or chemicals, the technique will get those brows looking on point. BEAUTY TROVE If you’re looking for an excuse to add to your makeup collection, this is it. The arrival of the new season is the perfect time to take the recently launched Mecca Max collection from Mecca Cosmetica. The key to an active life is to find activities that fit into your current lifestyle just a few times a week. RECEIVE A FREE MASK TREATMENT WHEN YOU BOOK WITH NIQUITA THROUGHOUT SEPTEMBER. T&C’S APPLY. LOCATED CONVENIENTLY IN the heart of the Brisbane CBD inside Toni & Guy Hairdressing, SE Cosmetic Tattoo & Beauty is an industry leader with over 13 years experience. Director Sylvie Eccleston is passionate about enhancing female aesthetics and creating an enjoyable atmosphere. Semipermanent makeup, glowing skin treatments, and other beauty therapy services are also available. Whether it’s the Express Facial Boost during a lunch break, or the Luxe Deep Cleansing Microdermabrasion, this salon caters to the busy woman. *Offer valid on bookings made up until 30th September 2017. Simply present this ad in store to redeem your offer/s. Limited to the first 50 customers. MAKE THE CHOP A new season calls for a new do. Tamille Head reveals what you should ask for at your next salon appointment. IT’S THE HAIRSTYLE that continues to reinvent itself, year after year, and this season, the bob is getting much shorter and blunter. Cut just below the lobes, we’re seeing a shift from the ‘lob’ of seasons past as celebrities and bloggers get the full chop. This season, it’s all about keeping it very raw and embracing your hairs natural texture. Stylingwise, it’s all very simple: wash and leave to air dry. For those with fine, straight hair, hairstylists recommend applying a serum to damp hair before bed and allowing it to dry naturally in order to achieve a more natural look. If sleek is more your style, apply a heat protection spray to damp hair before blow drying with a paddle brush. If you can’t bare to go the full chop, freshen up your look by having some bangs cut in. Pushed to either side or worn across your forehead, they’re the perfect way to inject some French-girl cool into your Spring look. To avoid frizz and flyaways, blow out your bangs immediately after washing. Hold your hair dryer over your head, facing down towards your forehead, and brush your bangs from side to side until dry. This takes care of any cowlicks and ensures your bangs fall straight. THE OWAY MOISTURIZING HAIR MASK LENDS SOFTNESS, BRIGHTNESS AND PREVENTS THE FORMATION OF SPLIT ENDS. THROMBOSIS OR BLOOD clotting can lead to serious complications such as heart attacks, stroke, Deep Vein Thrombosis (DVT), or, more seriously, a Pulmonary Embolism (PE). So what is a blood clot? It’s a mass formed by platelets, which are held together by fibrin, a protein which acts like glue. 50 per cent of blood clots in deep veins go unnoticed until they cause complications. Diagnosis is determined by a Duplex Ultrasound Scan, and treatment requires anti-coagulation drugs, compression and mobilisation. How to reduce your risk of a blood clot: •	Travel. Avoid sitting for long periods without walking periodically. •	Surgery. Discuss the risks of DVT with your doctor and whether anticoagulant medication is appropriate to reduce the risk. •	Lifestyle. Stop smoking, lower high blood pressure and maintain a healthy weight through diet and exercise. •	Research. Know your family history and talk to your GP if you think you may be at risk. RECENT FINDINGS PUBLISHED by the American Association for Cancer Research has revealed a strong link between periodontal (gum) disease and cancer. Almost 66,000 post menopausal women were followed for an average of 8 years. In that time 7149 cancers were subsequently diagnosed - a strike rate of almost 11 per cent. Although anyone can develop cancer, the women with pre-existing gum disease had a 14 per cent higher risk to developing any form of cancer. Certain cancers were more common in the periodontal disease group. These included oesophageal (throat), breast, lung, gall bladder and melanoma. In fact women with gum disease were 3 times more likely to develop throat cancer than those with healthy gums, likely due to the close and intimate connection to the mouth - the gateway to your whole body. Make healthy gums a priority - your life may depend on it. Call James Street Dentists today. Healthy gums never bleed. WE’VE ALL BEEN there. Putting in the hard yards to grow out your brows only to have them waxed away within seconds. The natural fanstyle fronts of your brows need to be embraced and not tampered with as they symbolise head and heart connection. Untrained therapists that wax too wide in-between the brows are usually unsure of how to tame natural brow fans. Eyebrows can show an array of human emotion or a person’s point of view and the brow hair growth itself plays a very important part in what the eyebrows whisper to us about someone’s personality. The key for a fuller-looking brow: keeping the growth constant. To aid in this process, we have created our very own Brow & Lash Booster Growth Serum, which assists to grow back over-plucked or finer brow hairs. It’s 100 per cent natural and nurtures your adult hairs in the growth cycle to live longer; therefore, allowing the baby hairs to thrive. The end result being natural, well-maintained brows. MIGRAINE AFFECTS OVER 13 per cent of the global population with females two times more likely than males (18 per cent vs 10 per cent) to suffer from the disease. An individual is said to have a migraine if within his/her lifetime there have occurred 5 or more attacks of headache, each lasting 4-72 hours, severe enough to restrict routine daily activity, and accompanied by nausea and or light/sound sensitivity. Only 20-25 per cent of migraineurs experience aura, and visual changes are the most common form. There can be spots, zigzags or crescents, flashes of light, or losing sight partially or fully. The shimmering that occurs in aura when vision is obscured is referred to as a ‘scintillating scotoma’, where a scotoma is a blind spot in vision. The aetiology of migraine is multifactorial and influenced by diet, lifestyle factors, and hormonal changes. Migraine has a clear tendency to run in families and this suggests a strong genetic component. A FRIEND ONCE said to me, “On our struggle days, we just wear our lipstick a little brighter”. Who doesn’t love a great lippy to lift their day? Did you know that when we wear lipstick we can’t help but eat about thirty percent of it? While Ancient Grecians would ingest white lead and vermillion, sadly many of the current mainstream lippies still contain some pretty questionable ingredients, like petrol derivatives, potential hormone disruptors and other skin irritants. When looking to purchase your next lipstick, look to Australia and New Zealand brands as they have many cruelty-free, naturally long lasting, strong pigmented brands on offer. Most of these brands pack their lipsticks full of nourishing ingredients like soothing jojoba and avocado oil, shea and cocoa butter as well as candellila wax. If you are new to bold colours, my top tip is applying your lippy and adding a neutral lip gloss over the top. This will soften the edges of a bright lip ever so slightly so you can flash those lips with style for any occasion, day or night. FOR MANY PEOPLE, there are no words more anxiety-inducing than “adult acne”, and we have noticed there have been an increasing number of patients who are struggling with adult acne. Typically, we find this is largely due to an increase in stress and poor diet. Your skin is the largest organ in your body, and the food you eat and the lifestyle you lead can dramatically impact the appearance and health of your skin. General advice to people with skin concerns is to reassess their diet and consider whether it could be more balanced. A healthy, balanced diet involves plenty of fresh fruit and vegetables, lean meats, and low glycaemic index foods (such as whole grains, unprocessed breads, and rices). Westside Dermatology offer a nurse-led acne solutions clinic where you will be provided expert advice in skin care, make up, acne treatments and scar revision. This is an excellent solution for those patients wishing to take the first step in acne management without seeing a consultant dermatologist. for its 5-star resorts and water sports making this a great spot for families to stay. The kids can enjoy scuba diving, banana boating and oceanwalking while the adults sip cocktails in a cabana. Experience some true Balinese culture in the tranquil town of Ubud. The mountainous town is famous for it’s arts and crafts scene, rice terraces, fresh organic food cafes, waterfalls, yoga retreats and the monkeys of course! It’s easy to get lost strolling through the streets exploring everything to offer. For those who are a little more adventurous, make a trip to one of the islands surrounding Bali for the ultimate tropical getaway. Take a boat ride or book a few nights stay at one of the many islands that are all unique in their own way. Explore rainforests, reefs to snorkel in, lush forests for hiking that are untouched and much slower than the mainland. HOT TIPS: BE SURE TO TRY SOME AUTHENTIC INDONESIAN CUISINE, YOU CAN EAT WESTERN FOOD WHEN YOU’RE HOME. ALWAYS TIP THE LOCALS IF YOU RECEIVE GREAT SERVICE, THEY WILL BE MORE THAN GRATEFUL. PAY A LITTLE MORE AT THE MARKETS FOR HANDMADE ARTISAN GOODS, THE HOURS SPENT CREATING THEM ARE WELL WORTH IT. KNOW YOUR TRAVEL Leave it to the money exchange experts to put more pounds in your pocket. YOU’VE BOOKED YOUR flights, counted down the days and it’s finally time to start packing for your overseas holiday. After months of saving, the thought of spending your hard earned cash on anything but your holidays is out of the question. And that’s where Travel Money Oz comes in. As part of the Flight Centre Travel Group, Travel Money Oz pride themselves as a foreign exchange specialist brand with over 130 stores Australiawide and over 20 stores in New Zealand. By being part of the Flight Centre family, Travel Money Oz understand travel and know that the needs of their customers are constantly evolving. Being adaptable to the changes in such a competitive market is what sets Travel Money Oz apart as experts in their field. It is time for the trends of the season to help your interiors blossom! Celebrate trends, think modern glimmering copper and the Danish way of staying cozy. He’s got a plan. So does his Audi. Audi Choice Audi Choice^ is for those who like to know where they’re headed. It means you can guarantee your Audi’s minimum future value^ at the time of purchase – letting you plan for the future. And, at the end of your Audi Choice^ contract, you can select from three options: trade-in, retain or return. Style Magazines. 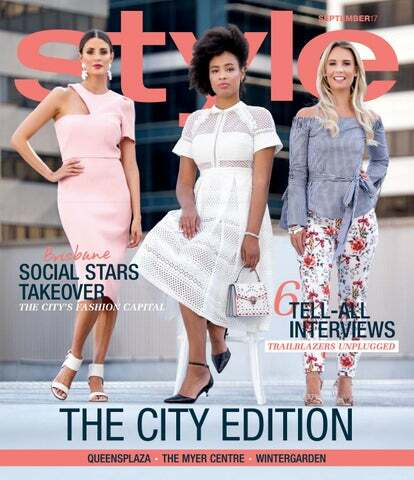 Style is a vibrant, monthly magazine capturing the essence of the metropolitan lifestyle in Brisbane.